As the UK General Election takes place this week, a new report from the University of East Anglia and Clearview Research reveals that many British electoral services are under financial strain, writes Dr. Toby S. James. Elections in the U.K. are well run. Some may have complaints about the majoritarian electoral system, the methods for regulating party funding and even how the electoral registration process works. But when it comes to managing the poll, the evidence is that things go smoothly. And for that we owe much to the hard work and dedication of electoral officials. But this is not so say that there are not emerging challenges. One of these challenges is resourcing. Concerns about cuts to hospitals and schools have been a major concern in Britain after recent years of public sector austerity since the 2007-8 financial crisis. But as Britain goes to the polls for the general election, what about elections themselves? Earlier research documented how many electoral officials said that they lacked resources. A shortfall in funding is often claimed to exist in American elections, with the New York Times recently blasting ‘the nation’s underfunded, patchwork election system and obsolete balloting machinery’. Real data on how much money electoral officials receive is not readily available in most countries, however. 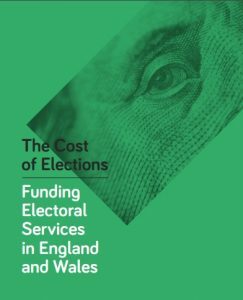 A new report entitled Funding Electoral Services in England and Wales provides fresh insight into the funding that electoral service departments in local government receive and have spent in England and Wales from 2010-11 to 2015-16 (a more detailed analysis will shortly appear in the journal Public Money and Management). Local authorities have seen a marginal real terms increase in their budgets between the financial years 2010-11 and 2015-16 by £10,200 per local authority. However, this overall picture masks the huge variations in increases during a period of public sector cuts. As the research shows that there was a real terms fall in nearly half of authorities (43%) – often in very significant numbers. There is evidence to suggest that many local authorities do lack resources because they are increasingly over-budget. During 2015-16, electoral services were running 129 per cent over budget on average. This is a rise from 104 per cent in 2011-12. 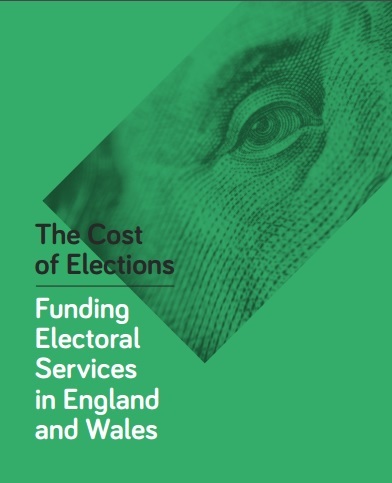 It is difficult to measure the effects of funding cuts because of limited data on the quality of electoral administration, especially at a local level. The report, however, shows that the areas that have seen more cuts to funding on elections are less likely to undertake a public engagement strategy and marginally less likely to undertake school outreach activities. In short, the democratic process can be a casualty of public sector cuts. At a time when there are concerns about turnout in the forthcoming polls, this is of critical importance. A tipping point has not been reached yet, as there was no evidence that funding effected the number of names on the electoral register. But going forward, it is important to ensure that electoral officials have the resources that they need to do the job, in the UK and elsewhere. We therefore set out recommendations for reform in Britain, the principles of which may be useful in many other countries. Going forward, budgets and spending should be routinely published to enable analysis and best practice to be identified. The public availability of information will also help decision makers to be held to account for the resources that invest into well run elections and electoral registration. These lessons may have equal relevance in other countries. Measures should also be considered that can make the electoral process more resource efficient. This might include automatic electoral registration and an online tool allowing citizens to check and ‘own’ their registration record – rather than making individual queries to their electoral official. Dr. Toby S. James is a Senior Lecturer at the University of East Anglia. The views in this blog are those of the author and not the Electoral Management Research Network.